An easy place to save money and avoid some yucky ingredients is simply to shred your own cheese. Keep some in the freezer at all times and a world of dinner opportunities await. I love having 3-cheese blend on hand for all of my Mexican-type meals. I usually make up a bunch and use half for enchiladas, and then freeze the rest for quesadillas, tacos, and such. And what would Friday night be without pizza cheese? You can easily stock your freezer with both types in just a few minutes. 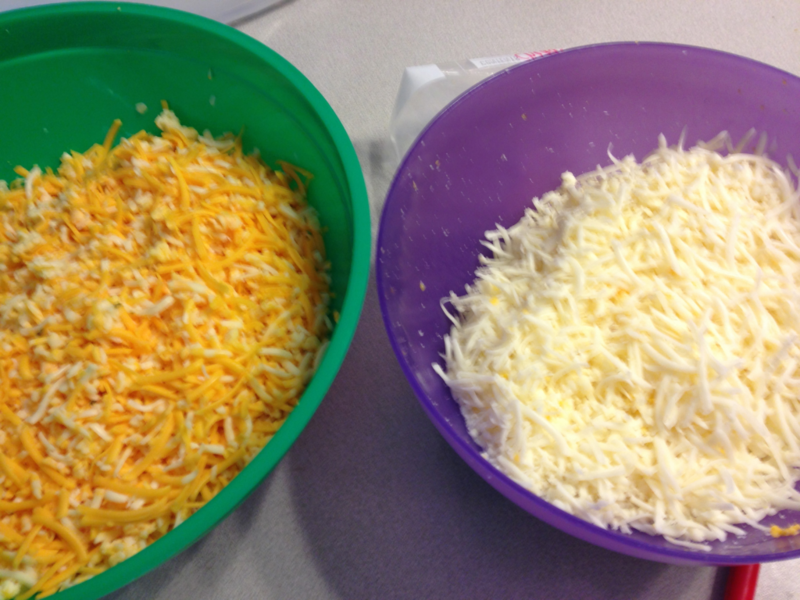 Here’s my 3-cheese mix on the left and Mozzarella on the right. It’s pretty easy. 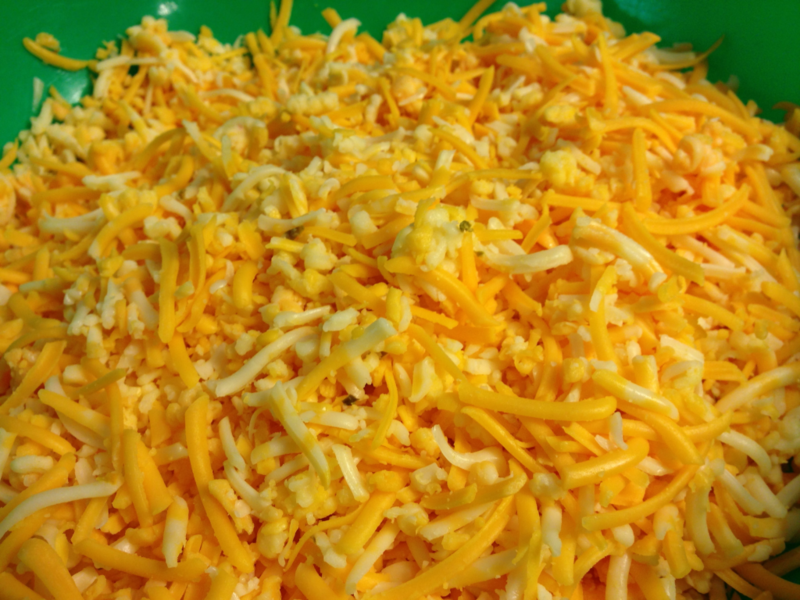 For the 3-Cheese blend, shred each cheese in the food processor. Combine in a large bowl and gently toss until it’s mixed well. Put about 2 cups in each freezer bag. You can either spread it out so the bag will lay or stand flat in the freezer. Mine fit into the container that I use when I fill them half way and fold the top of the bag over like this. Be sure and thaw the Mozzarella at least a little before you need it, it freezes pretty hard. Make your own Mexican blend cheese. Tastes better, costs less, and no strange ingredients. 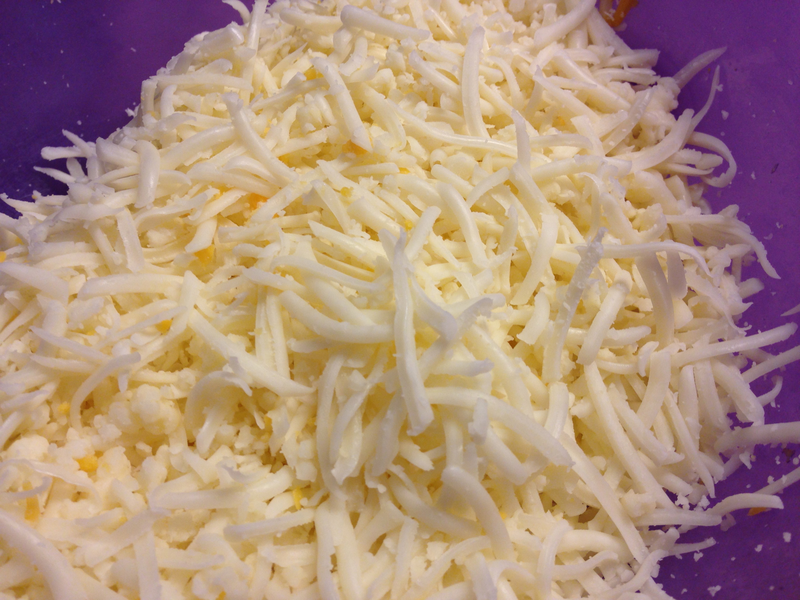 Shred each block of cheese using a food processor. Combine the three cheeses in a large bowl and lightly toss until it's well mixed. 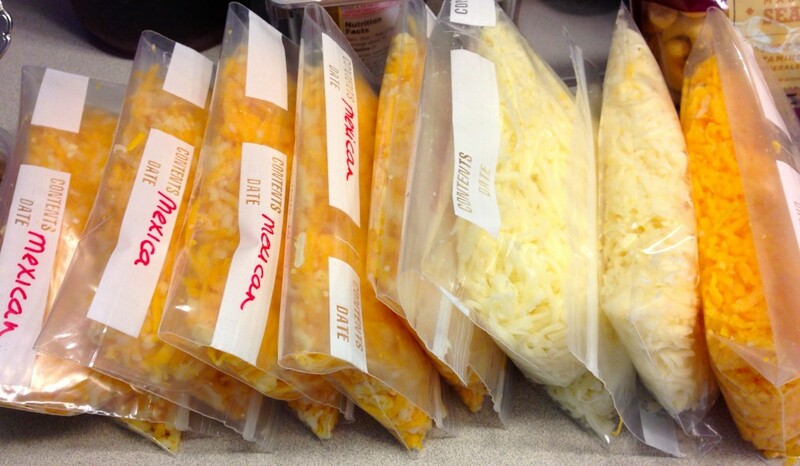 Fill quart size freezer bags with about 2 cups of cheese.